Bethalynne is still in the hospital – misscarriage/ectopic pregnancy… and we’re hoping she won’t need surgery; Two days of hospital so far, and the drugs don’t yet seem to be doing their trick, but we’re hopeful. Of course this happened on the day before we were to launch these, so I do not have access to her photographic skills for these boards. Also, we are trying to sell some of these, or some of anything in order to cover prescription and aftercare costs once she is released – as well as to keep me in gas and road food for hospital visits. These boards are designed by Bethalynne Bajema, with woodwork by Myke Amend (me). 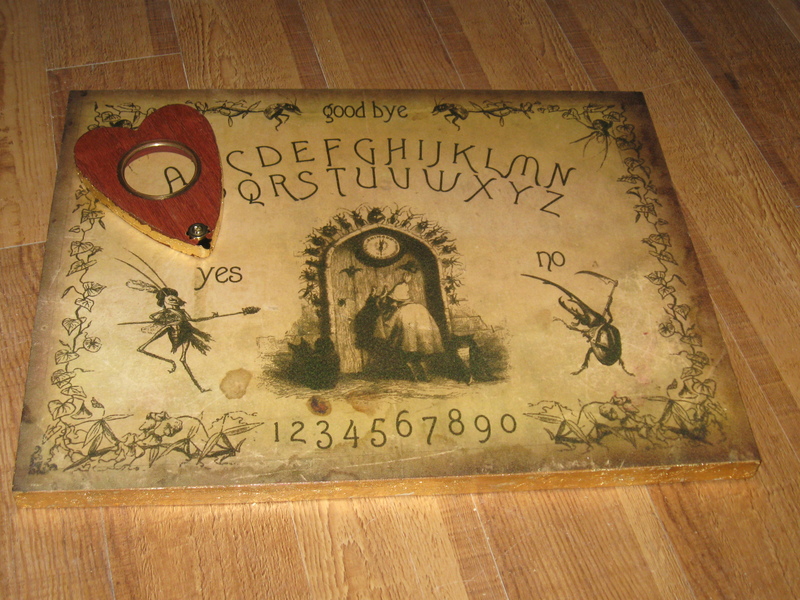 The boards measure 15×18?, are made of thick 3/4 inch oak, stained a deep red cherry, and are coated in varnish and then waxed for an easy gliding of the planchette. 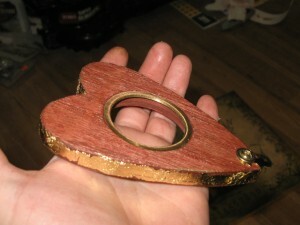 Edges are ornately routed for an added decorative touch, and some of these have gold leafed edges as well. 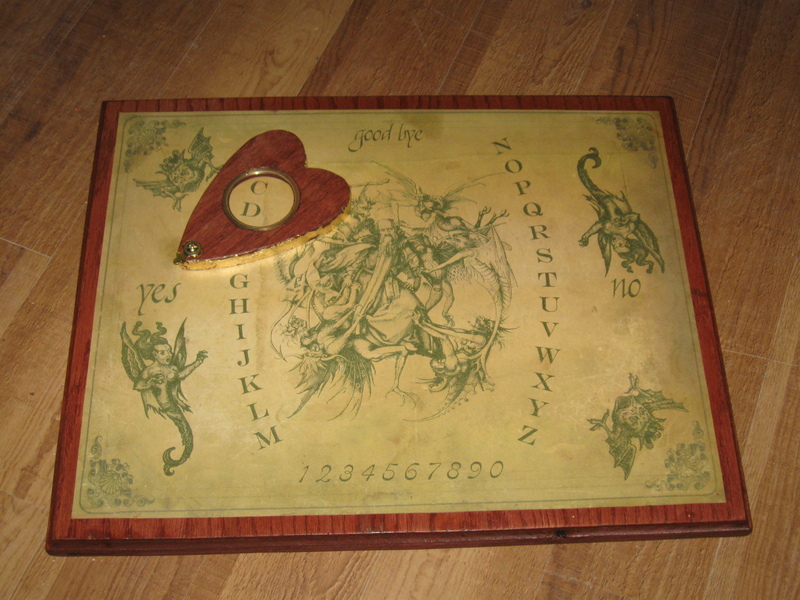 There are only 6 available in each edition – each are sealed to the buyer’s specifications, and can be decorated with added touches. Each are also hand-signed, numbered, and dated on the back by both artists. 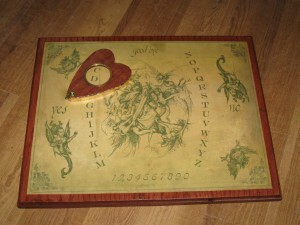 Each planchette (optional) is uniquely made by Myke Amend, cut from oak, and stained deep red cherry, accented with hand-shaped brass, and gold leaf – no two planchettes are alike. I am letting the saw guide me for each one, and I also have to pick and shape pieces of brass from my found brass box – so each planchette will be designed to fit the buyer and/or the board (if a board is purchased with the planchettes… planchettes can be bought on their own). 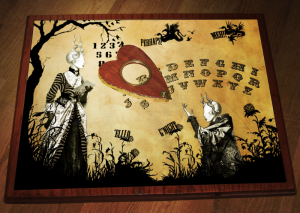 I realize that not everyone has money for boards of these quality on short notice – so of course these are not the only things I am raising funds with. Anything bought from my store will help us out.